Dr. Leo Toureno offers Invisalign invisible braces. Come visit us at our Tucson AZ office today! It is a high-tech, convenient, and cosmetic way to straighten your teeth. With advanced Invisalign software, I can take ample time to plan each tooth movement carefully, using precision 3-dimensional imagery. Computer guided robots at the state-of-the-art Invisalign Laboratory fabricate your invisible trays, in exacting increments of 0.25 millimeters for each progressive tooth movement. Everyone is a potential candidate! Teens and adults can benefit from Invisalign. In some cases, pre-adolescents as young as 12 can begin using Invisalign Teen. Occasionally, traditional orthodontics may be a more effective option. This is usually when considerable tooth movement is needed, or there is a significant discrepancy in the jaw alignment. If gum disease or tooth decay is present, we will need to address these issues before beginning Invisalign. Teens are usually excited about the prospect of an inconspicuous alternative to traditional braces, and a straight new smile. Adults also love the discretion of Invisalign, in social and professional situations. Your aligners can be conveniently removed while you eat. Good oral hygiene is easy with removable aligners. The precision movement of the aligners is gentle to the bone structure and soft tissues. Step 1) Your first visit is a free of charge consultation with me, personally. To begin, click here to register as a new patient. When you come in, I will examine your teeth, jaws, and oral health to determine if you are a good candidate for Invisalign. If so, our friendly financial coordinator, Teresa, will explain our convenient, affordable payment plan and discuss insurance coverage. When you decide to begin your Invisalign journey, we will schedule your next appointment. Step 2) Your next appointment will consist of x-rays, photos, and dental impressions. Your impressions are sent to Invisalign high-tech laboratory, where a three dimensional, digital image is created. I can actually see your teeth – as they are now – on my computer screen, and I can see each precision tooth movement, as I personally design your series of aligners. You can also see how your teeth will appear after treatment is complete! 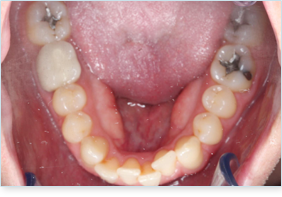 Step 3) When the treatment plan is created and approved, the images are sent back to Invisalign. Guided by these images, the Invisalign robot will create your new aligners with exacting precision. Step 4) When your series of trays are ready, treatment can begin! We will give you comprehensive, easy to follow instructions along with your aligners. If needed, we can attach small, tooth colored buttons to your front teeth for a more secure fit. In some cases tooth re-contouring or manicuring may be needed, to give crowded teeth room to shift properly. Step 5) Wear your retainers 24 hours a day except for eating and oral hygiene. Approximately every two weeks, you will progress to a new tray. Come see me about every six weeks until treatment is complete. Are you looking for a convenient, inconspicuous way to straighten your teeth? Come see me for your free complimentary Invisalign consultation! Click here to register as a new patient. I have been successfully straightening smiles with Invisalign for over five years. I completed Invisalign training through a full time orthodontic post-graduate program. I am proud to have received my training from the best Invisalign clinicians, and I am confident I can deliver the best Invisalign experience for you, my valued patient.